The site of the decisive follow-up to the Battle of Hastings has been discovered, it has been claimed. 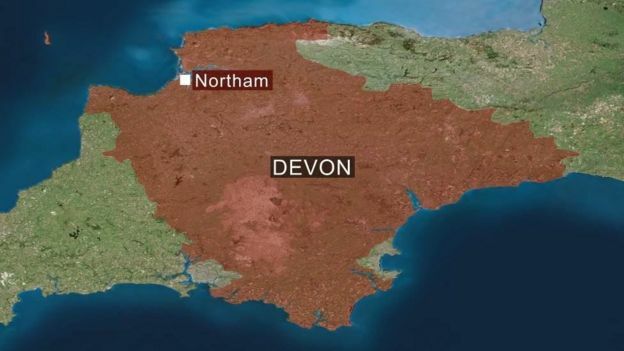 Nick Arnold says the battle of 1069 took place in this field between Appledore and Northam Best-selling author Nick Arnold said a field between Appledore and Northam, in Devon, played host to the bloody battle of 1069. Mr Arnold, who wrote the Horrible Science series of books, described the clash as the “sequel” to the Norman victory of 1066. 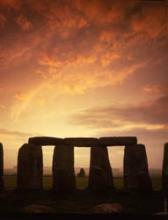 Academics have described the find as “significant” to British history. Mr Arnold started research into the battlefield, inspired by a story from his grandfather, five years ago. He said the sons of the vanquished King Harold came back for a bloody “rematch” in North Devon three years after his defeat at Hastings. 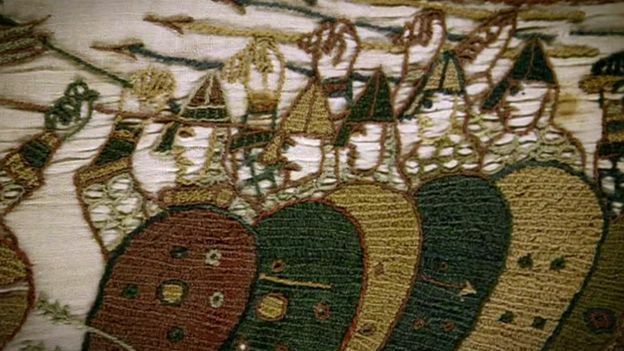 More than 3,000 people died in the resulting clash, Mr Arnold said, after 64 longships “crammed with armed men” led by Godwine and Edmund arrived at Appledore on 26 June 1069. Their army, which arrived from Ireland, met a fighting force made up of Normans, Bretons and English. They were met and roundly defeated by forces led by Brian of Brittany in a day-long battle. “The showdown settled once and for all who would rule England,” he said. October to December 1066 – A state of war continues until a deal is struck in December between William and the English magnates in which he guarantees their positions in return for their support. Mr Arnold said he was confident he had successfully narrowed down the correct site. “By combining scientific data on the estuary with accounts of the battle it’s possible to locate the fighting in a small area,” he said. Mr Arnold went back to original sources including the Anglo-Saxon Chronicle and consulted histories of the landscape. He also looked at times of high water and sundown and said all of the available evidence pointed to one location. The Devonshire Association has published Mr Arnold’s research paper which is being republished by the Battlefields Trust. Dr Benjamin Hudson from Pennsylvania State University in the US said the research was “a significant contribution to the history of medieval Britain”. Elisabeth van Houts, Professor of Medieval European History at Emmanuel College, Cambridge, said Mr Arnold had carried out “an exemplary piece of lucid writing, research and detective work”.